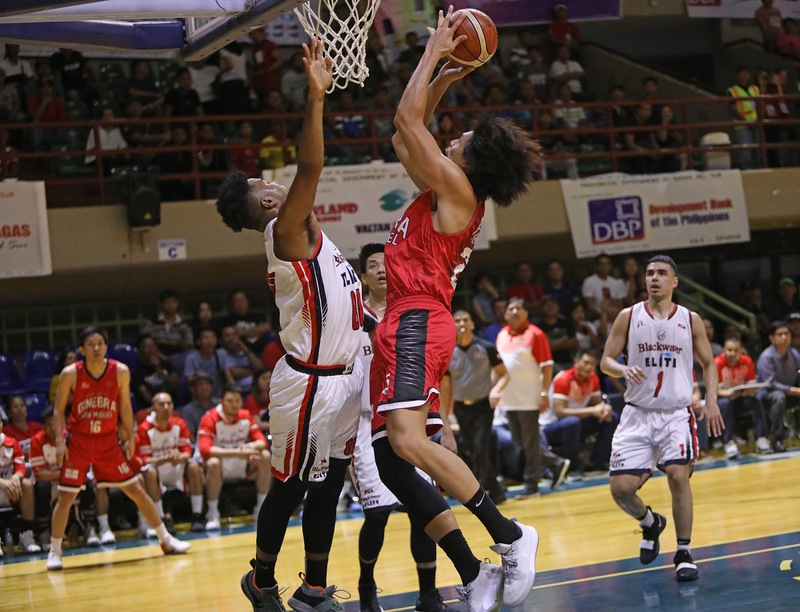 BINAN--Ginebra romped Blackwater, 85-67, in the PBA Philippine Cup at the Davao Del Sur Coliseum in Digos on Saturday night. The Barangay quickly recovered from the Elite's blistering start and went all the way to the blowout in Scottie Thompson's homecoming. Blackwater, looking to get out of its current slump, started the game on a 7-1 run with Mike DiGregorio scored the team's last five points. However, Ginebra ended the first quarter on a 21-5 blast to open a 22-12 lead entering the second. The Elite started the second quarter strong by going on a 7-2 run to trim the gap down to five, 24-19. But the Barangay once again closed out the quarter strong and never looked back. Japeth Aguilar put up 20 points, nine rebounds, one assist, and three steals for Ginebra, which moved up to third place at 3-2. Greg Slaughter added 17 points, six rebounds, two assists, two blocks, and one steal, while Thompson came up with 16 points, 11 rebounds, six assists, and two steals to the delight of his fellow Davaoenos. Kevin Ferrer blazed for 14 points on 5-of-7 shooting with four rebounds and one assist, while Arth Dela Cruz grabbed 10 rebounds with five points and one steal. DiGregorio and Joseph Eriobu each made 14 markers for Blackwater, which fell to 1-5.